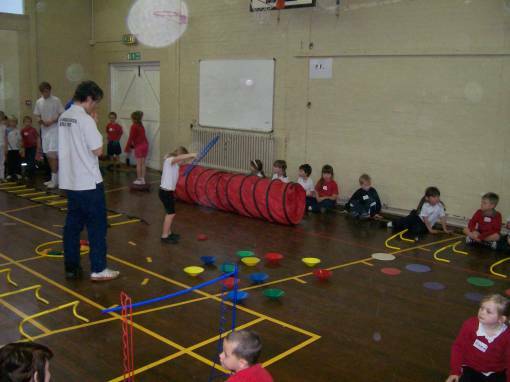 Almost 300 hundred four and five year olds had a fun and energetic time at Diss High School on Wednesday. 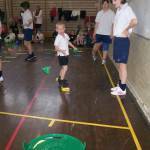 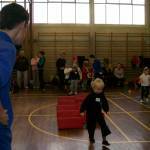 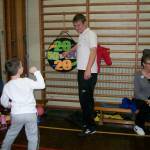 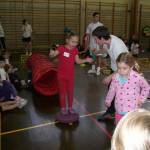 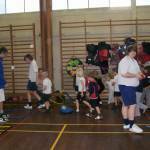 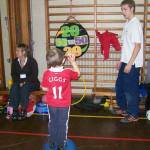 They had a variety of skills to try and master focussing on agility, balance and coordination. 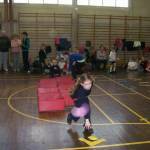 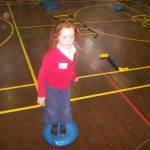 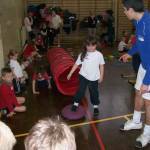 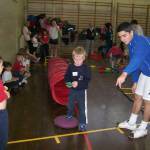 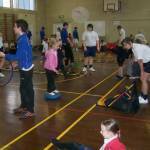 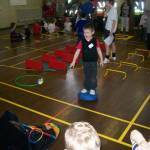 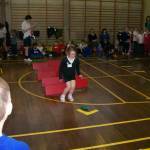 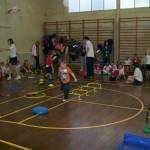 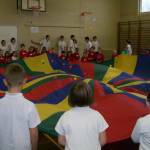 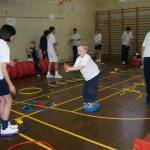 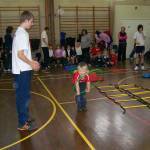 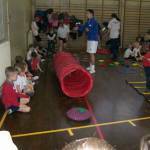 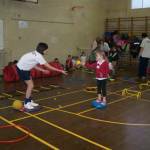 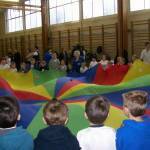 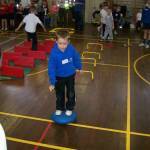 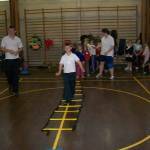 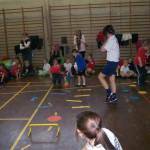 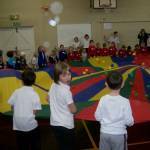 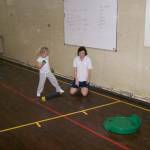 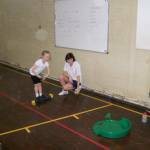 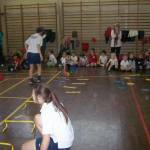 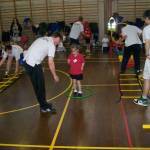 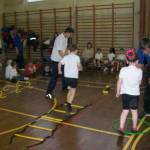 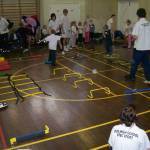 Pupils were encouraged to balance on wobble cushions, jump over hurdles, throw balls or bean bags at targets on the floor or towards targets against a wall and run using specific foot patterns through ladders. 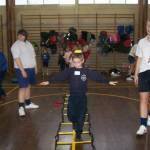 Some of the skills were a little more challenging by linking actions together by having to run through a set of ladders, balance on a wobble cushion and then throw a ball at a target. 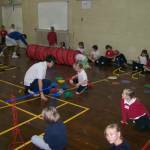 The whole day was planned by BTEC students from the high school; they devised, organised and led all of the skill sessions, encouraging the pupils to get actively involved in a fun way. 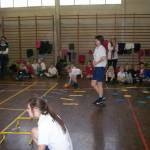 All of the students excelled themselves. 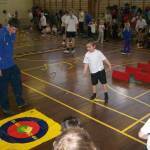 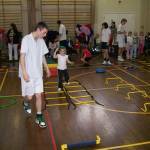 The schools participating were: Roydon, Scole, Bressingham, All Saints,St. 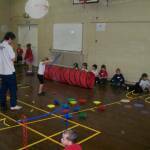 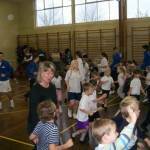 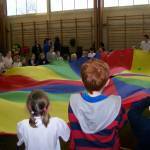 Andrews, Dickleburgh, Burston, Tivetshall, Garboldisham and Diss Infants. 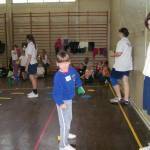 Schools throughout South Norfolk competed for their cluster in the annual South Norfolk Swimming Gala on Thursday 24th January at UEA Sportspark.